Richard is originally from Sheffield, an experienced Landscape and Wildlife photographer who is now based in the south mainland of Shetland. 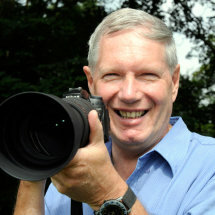 He became interested in photography back in the early 1970’s when he bought a Pentax K1000 film SLR camera, later to enhance his skills he joined the Sheffield Photographic Society and attended a number of photography courses and workshops. Today he uses Nikon digital equipment and has a range of lenses to capture the full essence of Shetland and processes images in Lightroom 6. After being made redundant as a training manager, Richard fulfilled an ambition in starting up his own photography business, offering a wide range of photo services. These included delivering numerous illustrated talks in and around Yorkshire, Lincolnshire, Derbyshire, Lancashire and the Midlands to RSPB member groups, Natural History and Wildlife Groups, Probus and Women Institute and continues to deliver talks in Shetland to a wide variety of groups. He particularly enjoys offering 121 photography workshops and is qualified to run Photography courses for Shetland Adult Education, both beginners and intermediate courses. We hope you enjoy looking through the portfolio of Shetland photos created by Richard at Amazing Shetland.